Pick & Pack enables brick-and-mortar stores to get online orders out the door faster and more accurately. IBM MobileFirst for iOS Pick & Pack enables brick-and-mortar stores to get online orders out the door faster and more accurately. The app uses an iPhone to give a real-time view into big data analytics in conjunction with iBeacon technology. 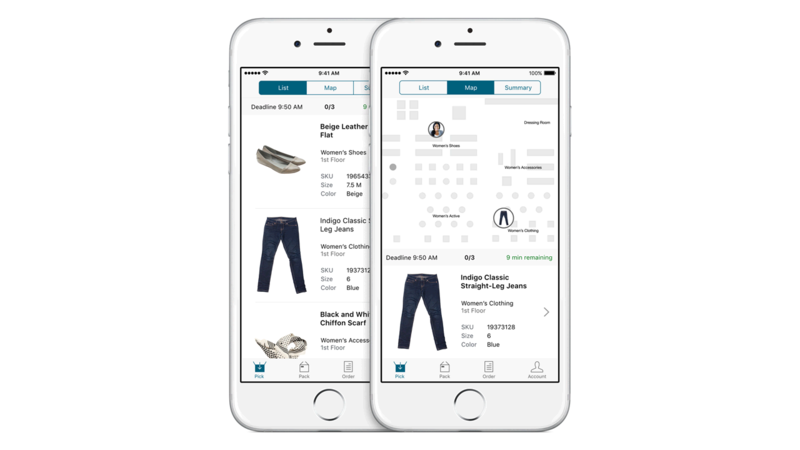 The location awareness of iBeacon is a powerful tool enabling sales associates to find items in sequence based on proximity, and consolidate items across multiple orders to support batch picking. A built-in camera enables sale associates to streamline the inventory checking process by scanning the item at point of service from anywhere in the store. View a real-time, on-demand snapshot of product in-store and on-line. Up-to-the-minute inventory and merchandise location information allows accurate gauging of product performance – no more guessing. Enabled by iBeacon and location functionality, you can select multiple items and find them quickly in the store ensuring an efficient pick and pack process.